Workplace design needs a new infusion of knowledge and wisdom. The future in achieving the best use of space requires entry into a realm that is not so easily quantified: namely, human behavior. Designers are fueled by their intuition and rely on their creativity to deliver results. They are able to go beyond what may be considered the established norms in a data-driven world to develop a workplace that meets the client’s needs. That is not enough given today’s high expectations for workplace design. The study of human psychology in the workplace — and its growing importance in achieving maximum results — raises pointed questions about the next generation of workplace design. 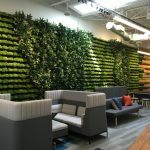 The framework of workplace design in the last few years has focused on collaborative behaviors resulting in a burgeoning challenge to the concentrated heads-down needs of people. This transition is exemplified in the migration of space from the closed and isolated individual spaces of the past (offices and work cubes) to the open and active work settings common in today’s office environments. How can the workplace deliver the fullest behaviors of collaboration and concentration? The answer is the need for the workplace to anticipate and understand the central needs of human behavior. 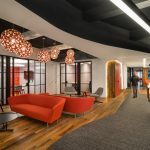 Leveraging human behavioral cognition’s in design will lead to the production of more optimal use of space, and could elevate workforce productivity into fuller business results. Jung’s discoveries were expanded to the workplace in the 1940s by psychological theorists Isabella Myers and her mother, Katharine Briggs, who developed a personality inventory in which a profile assessed how people filter and relate to their world. This assessment, still used in various forms today, provides new relevance in designing today’s workspace environment. Understanding behavior guides design of workspace components through examination of such important issues as where people think, feel, explore their intuitive beliefs and develop trust, and accentuate their sensory experiences. The design of the workplace is the domain within which individual behaviors are either encouraged or discouraged. Workplace is where a significant proportion of culture is formed and where teams engage in the process needed to deliver business results. A diversity of space is required to fulfill work results in today’s complex business environment. Thinking, feeling, intuition, and sensory cognition’s are present in all of us. Yet Jung’s exploration into the human psyche revealed that we are each likely to have a reliance on one or two cognition’s over the others, despite being fully capable of utilizing each throughout our daily work experience. People naturally perform better in their capacities as individuals and team members when provided with an environment that accentuates behavioral needs. For example, an individual with deep introspective feelings will likely become exhausted when provided with a workplace that primarily accentuates a strong sensory experience. The future workplace has a responsibility to deliver results that accentuate the behavioral needs of people. Design that addresses the thinking cognition,’s of the individual will deliver a thought “full” workplace. Thinking: Mental or intellectual activity involving an individual’s subjective consciousness. The level of team dynamic awareness is directly proportional to the team’s relationship strength. Design that understands the depth of the emotional needs of a team will deliver a behaviorally relevant workplace. Feeling: The conscious subjective experience of emotion. Design that is in tune to the intuitive needs of people will deliver a workplace that builds belief and trust within people to achieve results within today’s pressures to perform. Intuition: ‘To look inside’ or ‘to contemplate: providing beliefs not easily justified, such as aesthetic abilities and innovation in discovery. Physical and virtual environments define the sensory experience of teams at work. Design, at its core, is a sensory result and must be tuned to the precise sensory needs of the people at work in order to strike the balance between under or over-stimulation. Sensory: A physical feeling or perception from something that comes into contact with the body. A 2009 survey of employee job satisfaction conducted by the Society for Human Resource Management (SHRM) indicated that one of the highest favorable attributes was a work area that encourages skills and abilities. Skill and ability are direct results of behavioral cognition and the needs of people to think, feel, intuit and sense. Another positive according to the survey was access to workplace that enables working relationships with fellow employees—a validation that people need team dynamics and the skills and abilities of others to be successful in their work. Such considerations are valuable to creating a workplace that must determine the balance of behavioral cognitions needed for a workforce that wants to be engaged. One does not need a plethora of studies to recognize the importance of space and its role as a contributing factor in behavior that will either stifle performance or elevate it to the levels of energy and engagement conducive to today’s productive output pressures. Establishing the balance of behavioral cognition’s for individuals and their teams leads to a greater impact on human behavior that can become the hallmark of the next generation of workspace design. How to make your workplace transition more successful. Previous articleWhat’s Next in the Sharing Economy? Thankyou for this surprising article. Its substance are richly created and is uncommonly helpful. Thankful to you for giving such a carefully made article. This post really helped me. I am particularly shocked by the idea of information you have provided.It is to a great degree so obliging for understudies and furthermore employees.Thanks a lot!!!! !